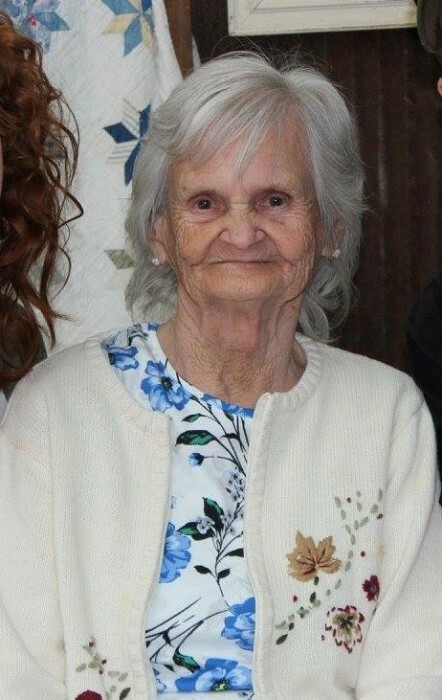 Alberta Eugean McIntosh, 91, of Commiskey, passed away at 10:08 p.m. on October 18, 2018 at Majestic Care in North Vernon. Born March 19, 1927 in Lovett, Indiana, she was the daughter of Alman and Eugenia (Monday) Stoner. She married Chester McIntosh on May 24, 1952 in Seymour. He preceded her in death on November 10, 1987. Although Chester and Alberta were unable to have children of their own, it never stopped them from sharing their love with others. Alberta began babysitting for nieces, nephews and even neighbors. She had a natural talent for making everyone feel equally special and loved. She continued babysitting and caring for others late into life. She had a special gift with people which endeared her to everyone she met. She also had a tremendous love of animals, and often took in strays of all kinds. She enjoyed visiting with friends and neighbors, working in her flowers, and also gardening. She is survived by her niece, Cathy McIntosh Bondowski, and great niece, Jacqueline Bondowski, both of whom she helped raise and had lived with for an extended number of years. In addition to this, Alberta is survived by her sisters, Betty McIntosh of Seymour, and Peggy Sutherland of North Vernon, and a large number of nieces, nephews and close family friends, all of whom she loved very deeply. She is preceded in death by her parents, Alman & Eugenia Stoner of North Vernon; and a brother, Bob Stoner of Virginia. Per Alberta’s wishes, no formal services will be conducted; however, her family will be hosting a memorial celebration of her life at a later date. Memorials may be made through the funeral home to the Mercy Rescue and Adoption Inc. or Jennings County Animal Control Shelter.